The challenge here was to make a trade marketing website look visually appealing. We achieved this by showcasing the scenic beauty of the South African coast, where the abalone is naturally found. A subtle video loop, where the waves can be seen to roll in behind the rocks, provides the opening visual with interest and surprise for the audience. 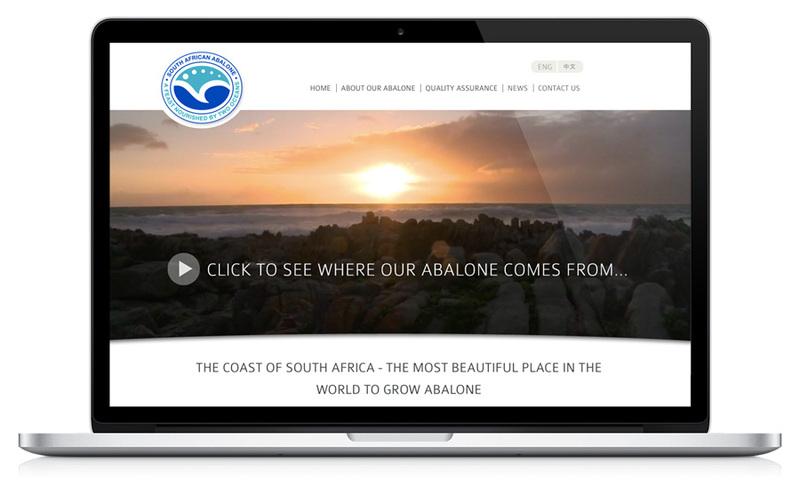 The target market for the abalone is export almost exclusively to Hong Kong and China, so we have laid out the important information in a clean and concise manner with clear navigation and a responsive website. With the user experience in mind, we provided a Mandarin language option to the website using a multilingual content management plugin.